GEZA. A Generation of Innovation. From as early as 1999, innovation has been the driving force of the GEZA brand. Against a backdrop of high priced, poor quality and aesthetically unappealing products, the affordable housing market in South Africa was in dire need of cost-effective, space saving options that were easy to install and maintain. From day one, the team at GEZA took this opportunity with both hands and for nearly twenty years have been at the forefront of delivering innovative, unique and affordable ranges of bathroom, kitchen and lifestyle related products, tailor-made for a wide range of applications, both indoors and outdoors. From our unique GEZA Easy Fit Bathroom, prototyped and patented in April 1999, to the recently introduced GEZA Shower unit, with its all-in-one design, easy and innovative installation, as well as our latest range of Scandinavian timber, wooden swimming pools, we have made extensive inroads into the ever expanding homeowner market. With the increasing and overwhelming demand for superior quality at affordable prices, the GEZA range of products have become the natural choice for discerning, homeowners, property developers and architects alike. Thousands of GEZA products have being successfully installed in a wide variety of housing projects/developments, homes, garden cottages, BnBs, guest houses, and game lodges. With the ever growing number of GEZA products being installed throughout Southern Africa, we have created an efficient way to service our customers with spares and maintenance for each product. Our retail spares shop in Johannesburg stocks all components of GEZA units as well as an extensive range of general plumbing goods and our highly trained and skilled maintenance crews are on-call 24/7. The GEZA Brand, in its short history, has made real waves in the building and home improvement industry, not only for its superior aesthetic and quality of manufacture, but also because it is challenging conventional methods of construction, supply, procurement and installation. All GEZA products and their prices are now available on our website on desktop and on mobile devices. To view any of our full range of innovative products, peruse our comprehensive website. Our professional sales team are standing by to assist you with your enquiries and orders. The online world of GEZA is at your service. 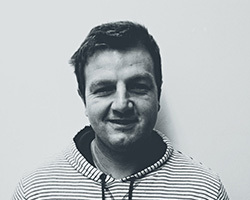 Brett joined the company in 2010 as factory manager but moved very quickly into sales and has been responsible for the dramatic growth of sales of GEZA units to homeowners, guest houses and container companies. Sam joined the company in February 2018 to add muscle to the Sales team. 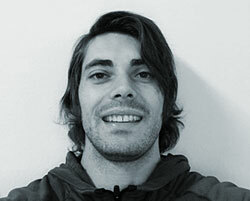 Still in his fledgling state at GEZA, but with a flair for people and a great understanding of the workings of this dynamic and vital company, Sam is excited and amped at the prospects that lie ahead. 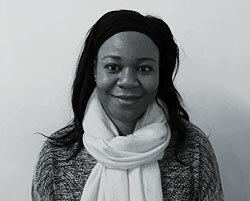 Prudence began her career at Geza in 2013 as a sales assistant in the newly opened spares and plumbing goods retail outlet. After a stint as senior sales-person in the shop, Prudence now manages all maintenance and is the key interface between customers and our various maintenance teams in the field. 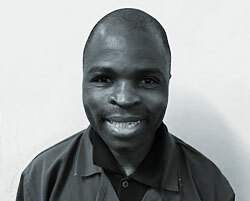 Bothwell joined GEZA in 2008, starting out as a security guard. From early on he showed a keen interest in plumbing and soon advanced to an assistant on a maintenance team. He now heads a GEZA maintenance team which is responsible for maintenance of all GEZA products installed in large scale affordable housing projects. The GEZA team pride themselves in the fact that nearly all maintenance calls are attended to on the same day that they are reported. 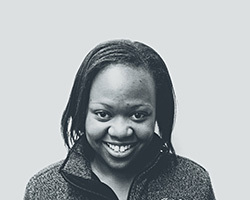 Mercy joined the company in 2015 as an assistant in the GEZA plumbing supplies shop. After gaining valuable experience, Mercy was promoted to receptionist and office manager in March 2018. She is the first port of call for customers and suppliers. Playing a vital role in the company, Mercy co-ordinates all daily communication. 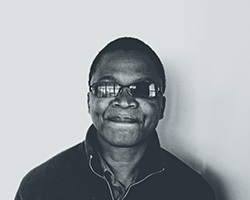 Better began his career at GEZA as a security guard on the entrance gate to the premises in 2009. He showed immense responsibility in this position and his willingness to learn earned him promotion to the factory where he has been the manager since 2011. 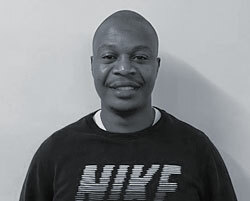 Given joined GEZA in November 2017 as junior bookkeeper. He is now responsible for all customer accounts including invoicing, receipting and monthly statements. As the GEZA customer base has grown, so has Given's role in accounts grown. This important and sizable maintenance component is in very capable and efficient hands.